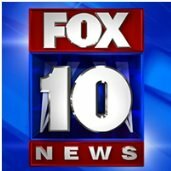 News TV Channel / KSAZ-TV, virtual and VHF digital channel 10, is a Fox owned-and-operated television station located in Phoenix, Arizona, United States. The station is owned by the Fox Television Stations subsidiary of 21st Century Fox, as part of a duopoly with MyNetworkTV station KUTP (channel 45). The two stations share studio facilities located on West Adams Street in the west end of Downtown Phoenix's Copper Square district, and its transmitter is located atop South Mountain on the city's south side. Its signal is relayed across northern Arizona through a network of 20 translator stations.